ShedSafe is the industry benchmark for Australian manufactured steel sheds. It is an third party accreditation program intended to assist buyers to be able to have confidence in the engineering, steel products and site specification of the steel shed they are purchasing. ShedSafe provides an opportunity for Shed suppliers to demonstrate their compliance with the Building Code of Australia via the ShedSafe third party accreditation program. ShedSafe is about sheds meeting the requirements of the Building Code of Australia which has requirements for structural and community safety. Wind loads on a shed are the main force sheds need resist, and the wind will always find the weakest point in a shed. Whilst some sheds appear to be robust, all the structural parts of the shed need to be designed correctly to withstand the wind loads. The ShedSafe program reviews the engineering plans and calculations provided by the consulting engineer engaged by the shed supplier. The review considers the design principles for compliance with the Building Code of Australia. For further information on our Shed Safe accreditation or how you can benefit from using ASI Build, please call us on 1300 760 007 or request a quote or contact us. We work closely with our clients to help them through each stage of their customised steel project. Whatever the size, budget and requirements of your customised building, ASI can deliver Australia-wide within your budget, to deadline and the highest quality finish. 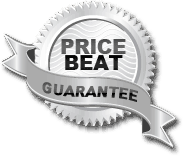 Get Your Price Beat Guarantee Now! Tell us about your project below.